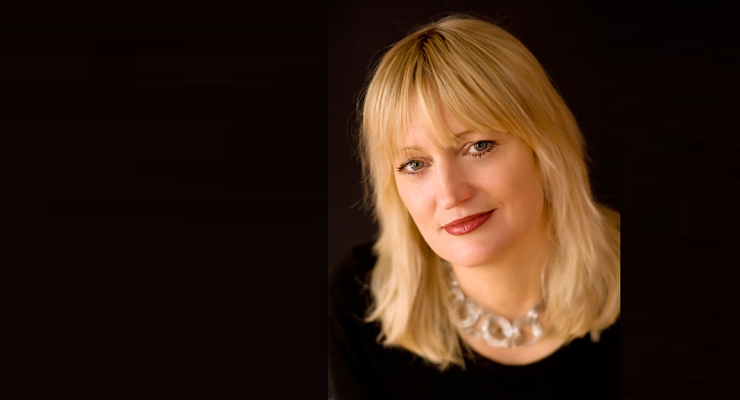 Ros Barber is the acclaimed writer of The Marlowe Papers – a novel which was awarded the Hoffman Prize and Desmond Elliot Prize. She has also been nominated for the Women’s Prize. Her second novel was published last year and The Marlowe Papers is about to debut as a stage play. Although her first degree is in Biology, Ros has since gone on to turn her talents to creative writing, writing both prose and poetry. Born in Washington D. C., she was raised in England and now teaches Creative Writing at Goldsmiths. 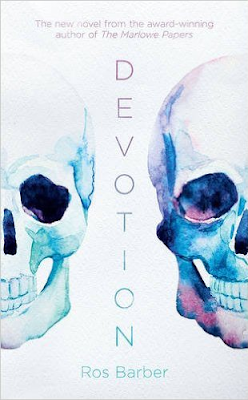 Devotion is Ros's second novel, and is a thoughtful look at the Big Questions of life and spirituality, and an excellent exploration of grief. In Devotion you write predominantly from Logan’s perspective – how easy did you find it to slip into the mind of a male character and did you do anything in particular to prepare for this? It comes pretty naturally to write as a man. The Marlowe Papers was entirely from a male perspective, so I’ve had practice. But in any case, the vast majority of books in the British/American literary canon are written from the male perspective. Keen readers are trained how men think from an early age. I also think it’s fair to say that men are not a mystery to women; we understand you pretty well. Your first novel, The Marlowe Papers, has been adapted for the stage and will be performed for the first time this year. How much have you been involved with this and are you excited/nervous to see your novel performed? The director and I adapted the script together: she made the cuts, I stitched it back together again. I sat in on early rehearsals and between the three of us - writer, director, and actor - we made further changes. So I was fully involved in the production of the text. Then they shut me out and worked their magic. We had a preview run (5 days) in January. I was really nervous until I watched the open dress rehearsal: what they had done with the text was astonishing. We had a great preview run. I’m really looking forward to its run in the Brighton Fringe. In Devotion you ponder significant questions about forms of spirituality, drawing on ideas from consciousness research. Do you think fiction has a big role to play in making accessible ideas of science and spirituality to a wider audience? I don’t know if fiction has any kind of role to play, because its primary duty is to entertain, but I personally like using fiction to explore ideas; telling a story that has the potential to make the reader consider alternative ways of looking at the world. Suspension of disbelief can be a useful way of opening the mind to possibilities. But really, I’m just using fiction to explore things that I find fascinating! You’ve mentioned in interviews previously that, following on from your first degree in Biology, you’ve since broken with the ideas Richard Dawkins expounds in The Selfish Gene and those that can be contained by rational materialism. Could you explain your ideas around this? The dogma of DNA as the controller of our destinies had been well and truly superseded by epigenetics: the new understanding that the expression of our genes is controlled by environmental factors. These environmental factors appear to include our thoughts (including those thoughts we call beliefs) and emotions; and not just our emotions, but those of previous generations: gene expression in both rodents and humans has been shown to be effected by traumatic experiences of one’s parents. The genes are the blueprint for the house, but a blueprint can be changed by the architect. And it turns out the architect is our physical, mental and emotional environment: something over which we have control. This is an empowering message that needs to spread: human beings, you are not victims of genes that are selfishly using you to reproduce themselves - you have the controls. Read Bruce Lipton’s The Biology of Belief. Set yourself free. So that’s DNA. Rational materialism? How long have you got? As far back as my BSc I became a little obsessed with phenomena that science cannot currently explain, like the one mentioned in Devotion (and which long after my degree became the title of a Rupert Sheldrake book), the sense of being stared at. There are enough of these ‘anomalous’ phenomena for us to suspect that our current model is mistaken, and I think the answers will be found in quantum physics. Much of biology is still operating in a Newtonian universe; but I keep my eyes on the fascinating frontier of the New Biology. In the novel religious belief is close to being classified as a mental illness. I think I’d hold with the idea that there will always be spiritual explanations for the (scientifically) unexplainable – do you think then that we’ll ever get to a position where religious belief is treated as a mental disorder? I would consider that an extreme consequence of the dominance of the rational materialist worldview, so although it’s possible, I rather hope not. I would add, however, that when I mention to people that this is a premise of the world in which the novel is set, I receive many strongly approving noises. Grief is very important in the novel and both spirituality and pharmacological solutions are largely used as palliatives to separate characters from their grief and the trauma they may have suffered. Neither seem the perfect solution and I wonder whether anything that separates us from experience in the present is to be treated with caution? It is vital to be connected to experience in the present - to be immersed, as much as possible, in the now. But it is really helpful to disconnect from the pain of the past traumas, because these things - which we can do nothing to change - pull us out of present experience. Although nothing in life is perfect, the effects of the two ‘solutions’ in the novel are different. The pharmacological path certainly disconnects Logan from the present, in that he ends up disconnected from any emotional response (positive or negative) that he might otherwise have had to things happening in the present. The effects of The Process, on the other hand, are to disconnect a person only from the emotions connected to past traumas. Logan therefore becomes much more present, as can be witnessed when he immerses himself in the simple act of making a cup of tea. But putting past traumas to bed doesn’t protect anyone from new sources of pain, whether these be new traumas or fresh insights. And that is as it should be. Hiding from life isn’t the answer; what we require to live more fully is greater awareness. Drugs (fictionalised versions of SSRIs, I suppose) are shown to be little more complete a solution to psychic pain than religion in Devotion and by the end of the novel there is a sense that sneering at solutions one way or another, is fairly pointless. That stopping short of judgement, even condemnation, is a healthier approach to life. With that in mind do you think the current climate where New Atheists seem to deify science/nature and disdain anything that falls outside of it is healthy? Nicely put. It’s easy to judge or condemn other people’s choices, and as you can tell, I am not a fan of New Atheism, but it is not for me to say what is healthy for another. There are reasons why people latch onto particular philosophies. For most of my life I was an atheist. Though it would be fair to say, a reluctant one; especially in my darker hours I would have appreciated the comforting sense of a higher power, particularly one whose essence is love, but that wasn’t my reality. In any case, as a free-thinker, organised religion never appealed to me; religion is still something I wouldn’t personally embrace, but I understand that other people do so, and that they do so because that is the right thing for them. What is really healthy is to be at peace with your own choices and to accept that other people make different ones. In the novel you touch briefly on the morals of creating changes in personality via synaptic manipulations and I wondered if you considered including more on the morals of using consciousness research to inform clinical procedures that alter consciousness significantly? The process of writing fiction isn’t really an intellectual one, at least not for me. So I don’t really do things like consider including more on any particular aspect of the story. I let the story unfold naturally, and accept whatever ends up being part of it. The only alterations I make in the editing phase are for clarity. Devotion feels like it was borne out of a very personal place. Would you agree, and if so, could you talk a little about that? Your feeling is correct. While I drew on certain aspects of my self for several characters - Logan, Jules, Gabrielle Salmon and April - I hadn’t realised how much it would be an exploration of my own grief. That only became apparent when I hit a wall with the writing about three quarters of the way through, and I had to finally plough through my feelings about my brother’s death in order to complete it. The central interrogation of science and spirituality also comes out of things that are very personal to me. Questions about the nature of consciousness have been with me since my undergraduate days. But in 2007 I began using a technique (EFT, or ‘tapping’) which neutralises the emotion connected to past traumas, and as a result had a number of profound experiences that would best be described as spiritual, and was forced to reconsider my atheism. I wondered what would happen if you could remove *all* past emotional traumas in one fell swoop, and this was the seed of Devotion. As well as novels you write poetry – which form has your heart? If you are asking which form of poetry, then the sonnet. When done well, there is nothing more beautiful and satisfying. But if you are asking where my heart lies between the novel or poetry, then my answer is the novel. Poetry and I had some fun for a while, but we’ve both moved on. Poems don’t call on me anymore, and if they did, I wouldn’t call them back. I’ve been writing novels since I was eighteen: my heart has always been with the long form. It was just that, in publication terms, poetry came through for me first. Your first novel was about Marlowe and something about Devotion reminded me of the kind of Big Idea novels of the late-eighteenth / early-nineteenth century – do you feel a particular affinity for any particular period, either as a writer or more generally? I have a complete affinity for the period I am living in. I loved spending four years in the sixteenth century while I was writing The Marlowe Papers, but I wouldn’t want to live there. I love everything the modern world provides, especially mobile technology and the internet: instant communication, and all the world’s knowledge in your pocket. I also love the accelerating shift in human consciousness. It’s an exciting time to be alive. You teach Creative Writing at Goldsmiths at the moment. How important do you see Creative Writing courses in the process of creating new writers? New writers create themselves. But courses can be helpful in accelerating the acquisition of craft, in broadening the texts a growing writer experiences, in creating supportive networks of writers at a similar stage, and offering direct personal contact with writers who have already found success. It depends on the course, naturally. But I love the set-up at Goldsmiths and am very proud to be part of it. Seeing how the students grow in skill and confidence, the way they support each other, and the successes they go on to have, is all incredibly satisfying. Could you tell us a little about your own writing process? I think and mull for a while. Sometimes years. I make several false starts before I find the right one. Once it feels like I have perfected the tone - once I get the sense that I have landed on a voice that will carry me through to the end - I just write every weekday, aiming for a minimum of 500 words a day, until I get to something that feels like the end. I write freely, accepting whatever comes, even if it is rubbish: but still have to remind myself quite often, ‘allow’. I don’t do rough first drafts, preferring to polish as I go, reading and revising what I wrote the day before as a way of getting back into the story each day. I always get stuck at some point and have a few weeks’ hiatus. Usually because I have taken a wrong turn without realising it, or need to process something that isn’t quite ready to be written. I’m learning to accept this; it’s over sooner if you don’t fight. I’m often excited by things my students are working on, but they are so new they’re not even ‘born’! One who has now emerged is May-Lan Tan. Things to Make and Break is a terrific collection of short stories. I can’t wait to see what she does next. Has teaching the subject made you look at creative writing differently at all? I’ve been teaching creative writing for twenty years now. Teaching writing has helped me become a better writer in every way. It hones your critical faculties, it broadens your reading experience, and as you transmit your own enthusiasm you are constantly rediscovering what makes you so passionate about poetry and story-telling. It also saves you from becoming ridiculously insular. I have learnt so much from my students over the years; I wouldn’t be the writer I am without them. This week, discombobulated. In both sound and sense, so deliciously British.